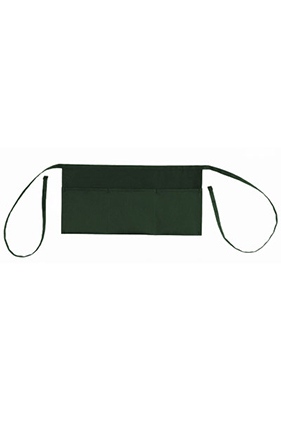 Extra soft and durable waist apron with tie back and pencil slot pocket. 70% cotton/30% polyester heavyweight 9 ounce cotton twill. Wraparound waist ties both measuring 29.5". Three pockets in front. , 6" W (outside pockets), 6.5" W (middle), 6.5" H (all). Non-branded label/tag.